This chapter briefly concludes the book by summarizing its contents, while connecting to contemporary thought of figures such as Michael Taussig and Simon Critchley, stressing the need for more literary ways of reading. It analyzes and laments the treatment of Maria Sabina, whose work with mushrooms was exploited by psychedelic enthusiasts. It points out tensions within literary categories of ethnopoetics. 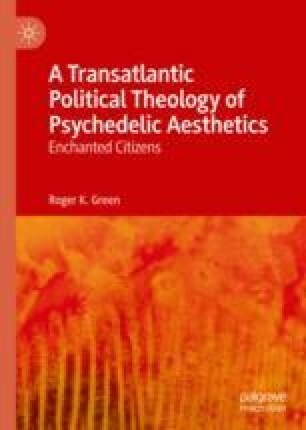 It argues that blindly optimistic approaches to the benefits of psychedelics risk perpetuating the same exploitation that affected Sabina, indeed and exploitation that is deeply imprinted on a still-thriving European phantasy structure. I briefly point toward attempts at hybridity such as the work of Gloria Anzaldúa and Luis León.